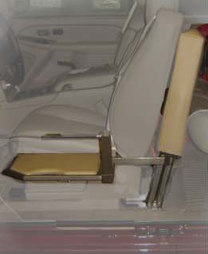 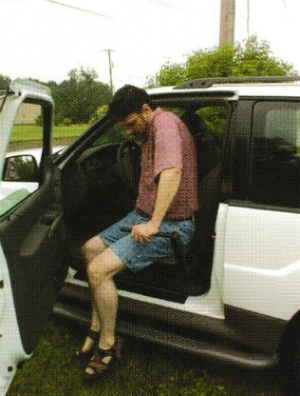 Getting into and out of a vehicle is made safer and more comfortable with the Glide-n-Go Transfer Seat. 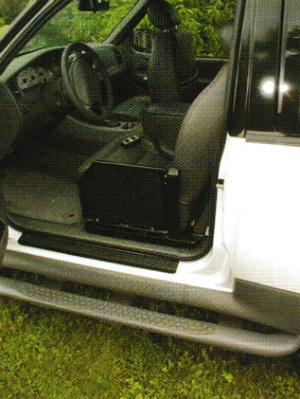 The Gline 'n Go Transfer Seat Single-Fold Version is for trucks, 4x4's, SUV's mini-vans, and full sized vans. 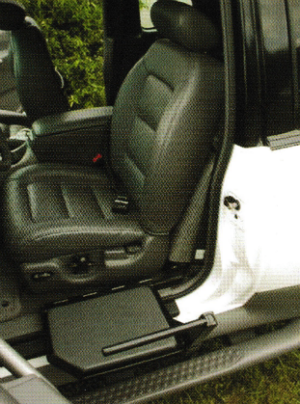 Simply unfold the safety arm, press the "up" button, and rise automatically to your seat!